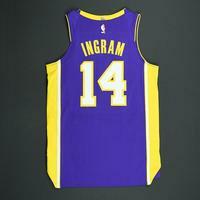 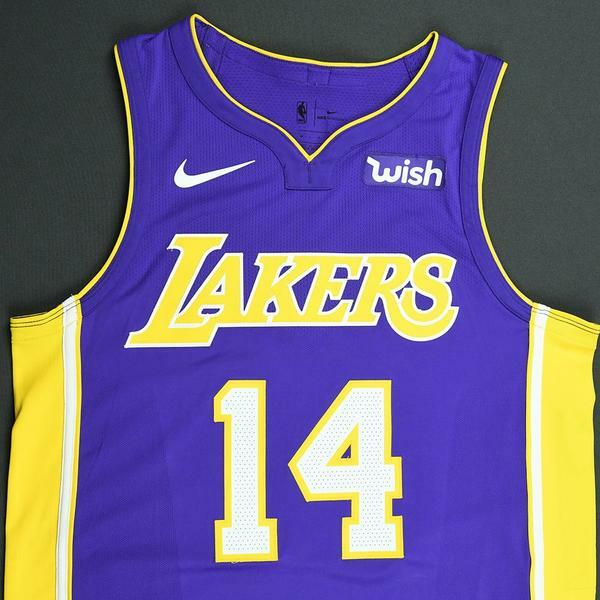 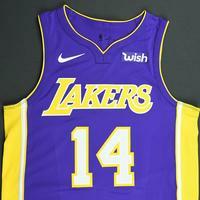 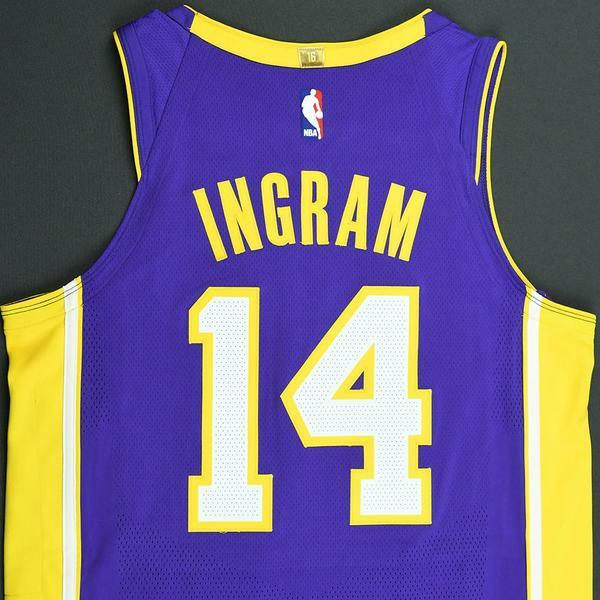 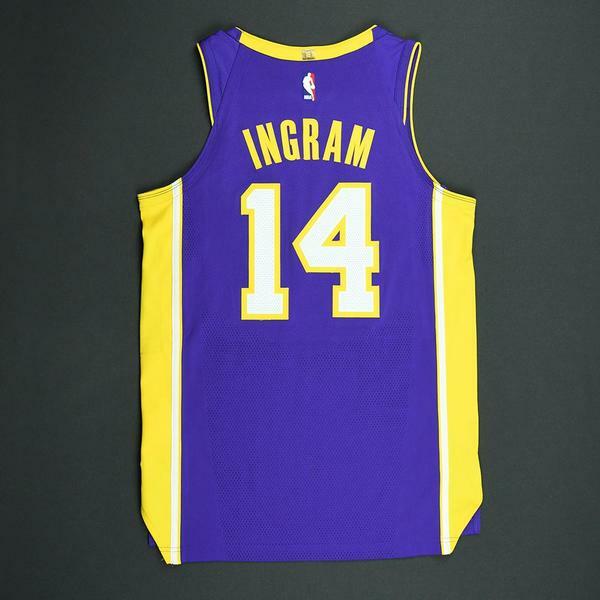 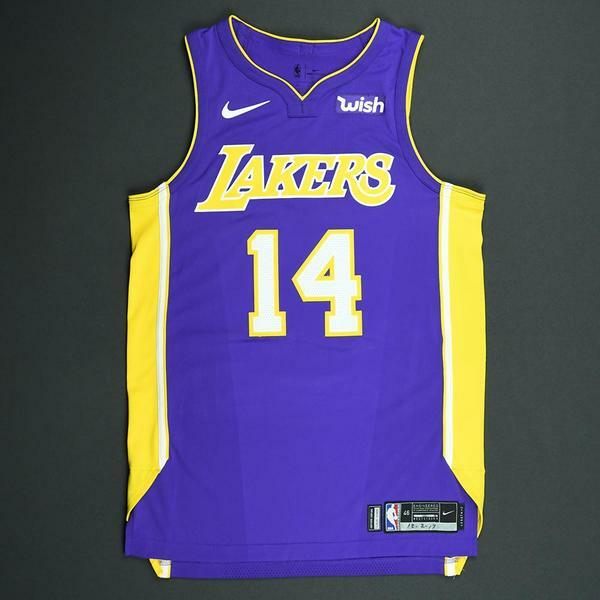 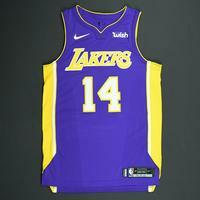 Ingram wore this jersey during the Lakers' 115-100 loss to the Denver Nuggets on December 2, 2017 at Pepsi Center in Denver, CO. 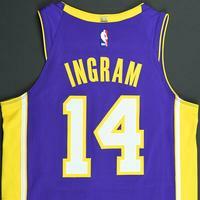 He played 28 minutes and registered 20 points with 4 rebounds, 3 steals and 2 blocks. 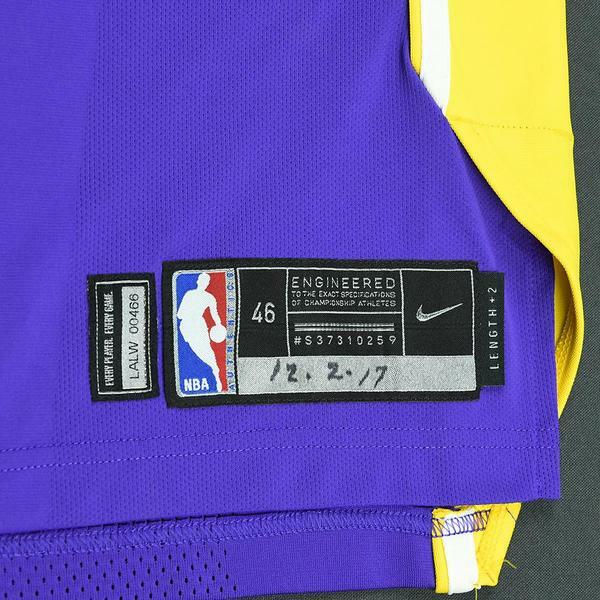 "12-2-17" has been handwritten on the jock tag.